On November 14, 2015, the RoboLancers went to Ramp Riot. There were two activities: the FRC competition and the FTC scrimmages. When we first arrived, everyone went to the bleachers in the gym where the FRC games would be held. 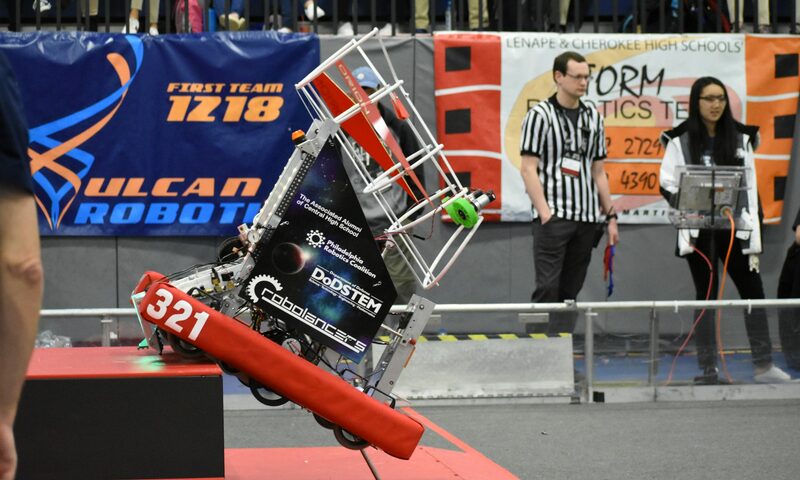 We looked at other FRC teams’ robots, and compared their designs to our team’s 321 robot. Some of the new team members went to the FTC area to scout out the other FTC teams. They asked about team designs and their strategies. We went between the FTC and FRC areas, looking at how the featured FTC games played out, and which teams could do the best; earn the most points. We also watched the 321 FRC team during their matches. Our team, as well as others, cheered for each team and alliance, all the way until the finals. Team 321 made it until the semi-finals, but we still cheered for team 225. Overall, it was an exciting and fun event! Next PostNext Ramp Riot! Goodbye Recycle Rush!